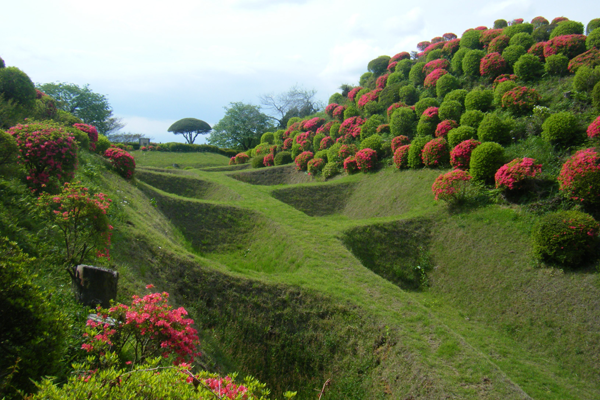 Beautiful mountain fort ruins, featuring the “shoji-bori” and “Une-bori” (shoji screen or ridged) moats, can be found in the bountiful greenery of this historical park. 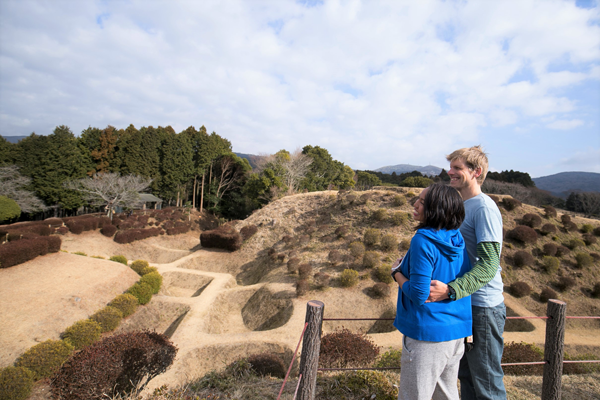 As a mountain fort that was completely built on earth (no rocks), the ruins here are unusual throughout Japan, and have been praised both historically and technically, so that now they are classified as one of the 100 famous castles/forts of Japan. 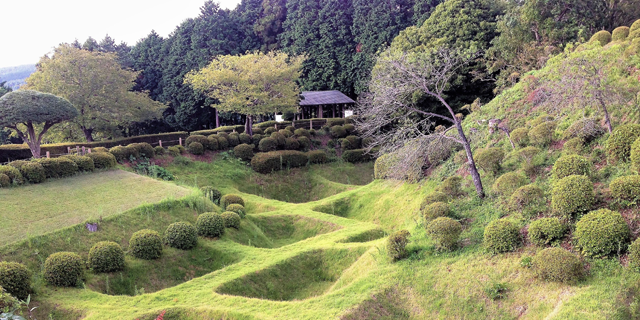 The use of “shoji-bori” (shoji screen moat) is because the ridges of the moats looks like the grid frame of a shoji (paper sliding) screen used in Japanese houses. 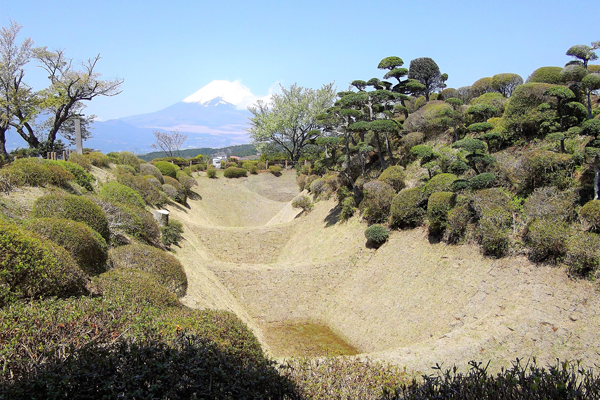 And this moat structure is extremely rare in a mountain fort. The park also is a place to see seasonal blooms, with the azaleas flowering from the end of April to mid-May being particularly worthy of a visit. The park affords a sweeping view of Mt. 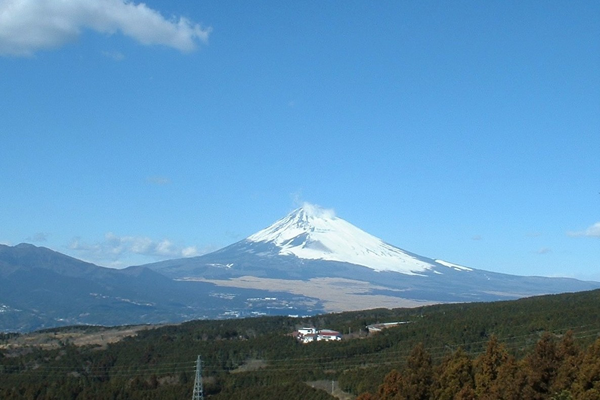 Fuji, Suruga Bay and the magnificent surrounding scenery. From the east side of the west tower, a simultaneous view of the moat and Mt. Fuji can be enjoyed. 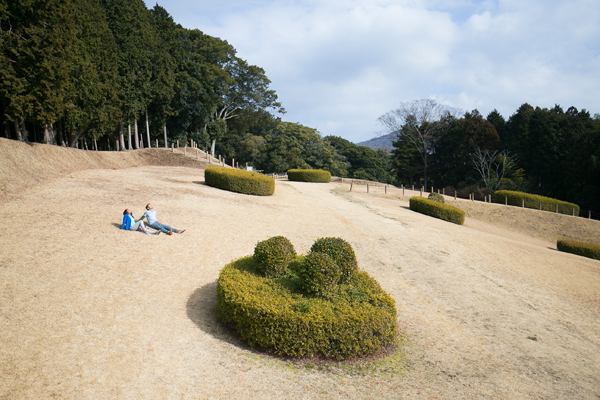 The park has grass areas that can be enjoyed during fine weather. 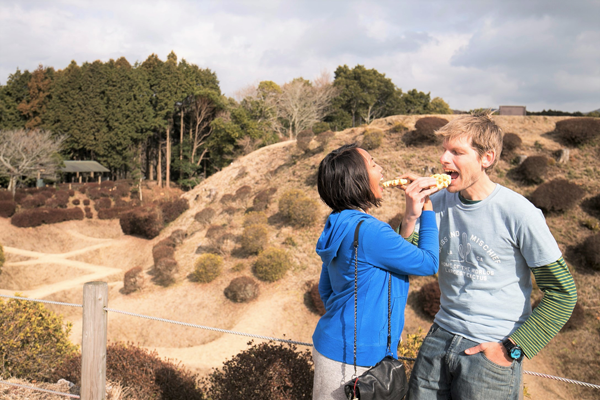 Why not get a shot of a “shoji-bori waffle” sold at the park shop with the actual shoji-bori moat in the background? Nearby the park can be found what was traditionally known as the toughest part of the Tokaido Road, the ishi-datami (stone mat) section of what was known as the old Hakone Road. 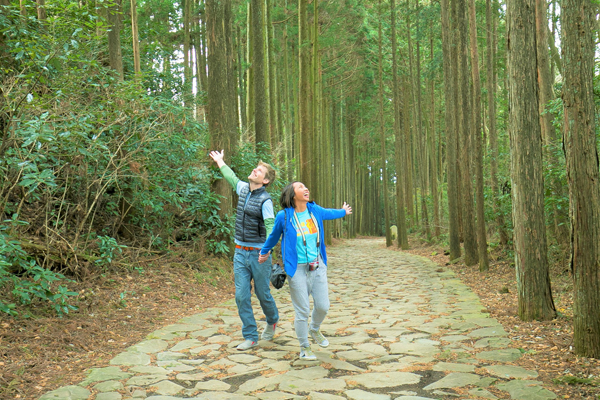 The essence of the Edo period still lingers on this section, so why not try some hiking, too!